My computer died. Complete Hard Drive failure. I’m re-discovering my links, my pages, etc. But, well, there have been delays to my schedule. All, Drax the destroyer, what a lovable cuss. I admit that I only vaugely recall “star lord.” I mean, wow, that is pretentious in a thief, right? Rocket… come on, he had a video game, that guy is big time. The rest are C list anti-heroes. Should be a great movie. Drax is a bit of a character. I loved the Avengers back in #219 – 220 days, Thanos war. 1982. Ok, wow. We played a lot of Marvel Superheroes back then. I liked to play heavy-hitters, but who doesn’t? 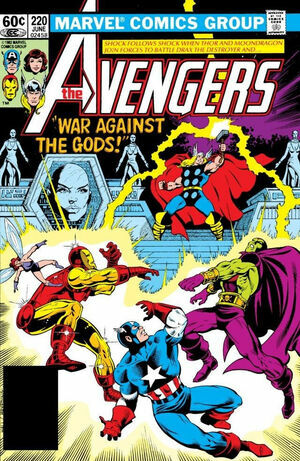 Yes, here we have our friends, Cappy, Iron Man, Drax & the Wasp getting fried by Thor. (Who is being controlled by Drax’s daughter Moondragon – hot bald chick.) Yeah, Cap and Wasp are clearly in the wrong fight. (I guess Wasp does take out the villain in the end – spoilers.) In any case, This is my High School. Flinging power bolts, blocking with the shield, leaping tall buildings and all that. I was a comic book geek. I have TNMT #3 in a box at home. We all liked the “bad boy” heroes. We so much wanted to be rebels, but we were geeks instead. So, while being a complete geek, I read a sci-fi book roughly every day, pulled above average grades (top 13% I always said), did my chores at the farm (I’m a country boy.) and worked a shift at the MHD facility. I’m lucky I turned out all right (rocket scientist) unlike my brother, complete loser (I’m lying, he’s a sugeon.) My friends and I were all playing these goofy role-playing games… ya know… I’m up for some hero action. Who’s with me? Three interesting things I found today: Ain’t you lucky I got snowed in this morning? I’ve been watching – and confused by – Saturn’s Aurora for years. Yes, I study aurora and I know a ton about them, but Saturn is still odd. Also beautiful. Red, Purple, gorgeous. There is a movie on the site, it is interesting. Note the upper air cloud pattern of Saturn is in a constant Hexagram around the north pole around the edges of the aurora. In the infrared it looks circular, but I think it is constant. Again, some astronomer might need to correct me. Weird. 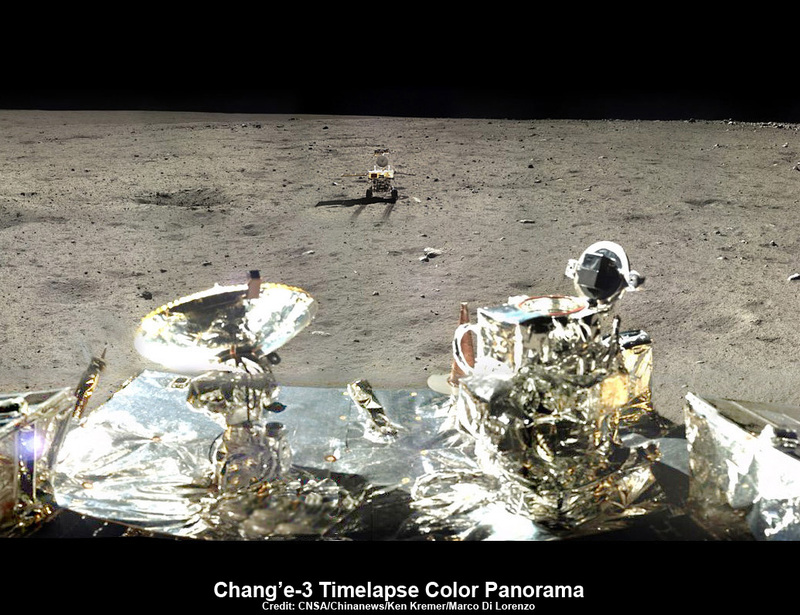 The Chinese have a lunar lander, the Yutu or Jade Rabbit. It didn’t shut down properly at the last sunset, so its instrumentation may have frozen up and … well … it may be a deader. We’ll find out soon. For this one I have to defer to my more experienced astronomy buddies. Apparently, they can determine a star’s age by the composition. I get how this is possible, assuming a consistent mix of elements from each subsequent nova. Slowly, the galaxy is poisoned by heavy metals. 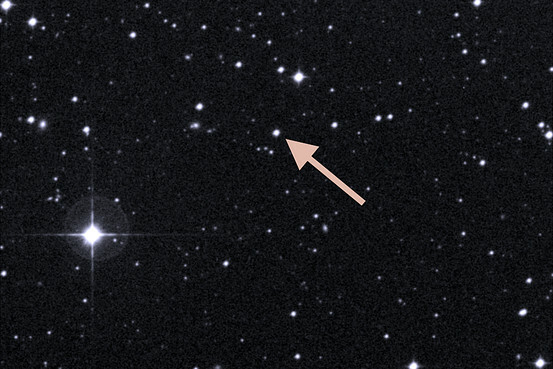 A star containing no iron, didn’t “see” all the nova which occurred in the last 10 billion years. However, it seems like there should be pure (reasonably) hydrogen clouds which have avoided interacting with the dirty dozen nova types like us. For a star to be alive for 13 billion years… seems far fetched. Yes, we can see galaxies which are 13 billion light years away, dating back to the first few hundred millennia of the universe. But the light is 13 billion years old! Those galaxies were full of stars, now are dead husks which have been consumed by other galaxies or … God only knows. They aren’t still putting out like 13 billion years later. I mean, stars are efficient but a billion years is a long time. (Maybe they have a few, newer, stars which have formed from the corpses of their elders, but for a star to survive 13 billion years seems … against physics.) Our sun is a long lived fellow, but 5 billion is probably his limit. What kind of star lives 10 billion years? Well, maybe Naz or Steph will tell me where I go wrong here.